It seems that one of the earliest references to swimming is in these Neolithic cave paintings in Egypt. These paintings are about 10,000 years old. The swimmers are the little figures by at the bottom of this photo, by the feet of the taller figure. 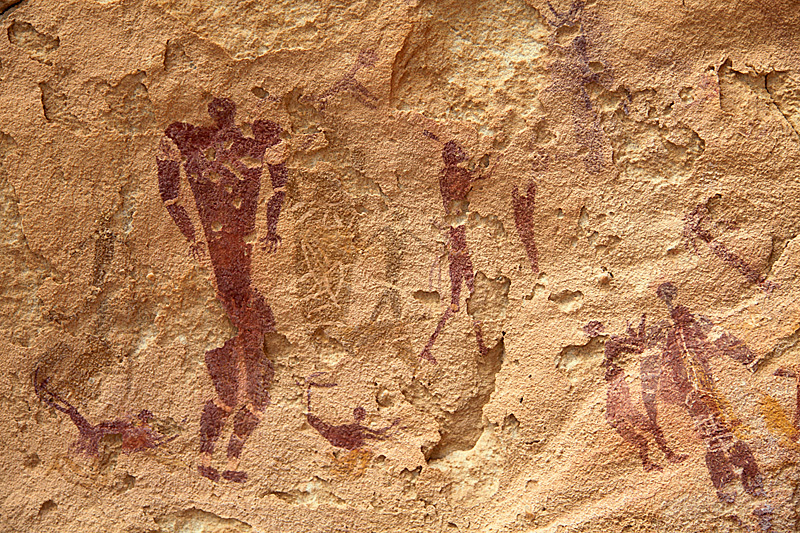 The Cave of Swimmers is situated at Wadi Sura on the Gilf Kebir in south west Egypt, near the Libyan border. This entry was posted in history of swimming, swimming art. Bookmark the permalink.